In an interesting turn of events, Apple executives revealed that the Apple ID password linked to the iPhone 5c belonging to one of the San Bernardino shooter was changed within 24 hours of the government taking possession of the phone. Previously, the FBI believes that San Bernardino shooter’s iPhone could contain information about the shooting, including the names and contact information of other terrorists and may contain evidence of other planned attacks. Unfortunately, the attacker’s iPhone was locked and requires a numerical PIN to unlock the device. As a result, FBI wants Apple to provide access to his iPhone and a federal judge ordered Apple Inc. to provide access of the iPhone’s encrypted data to the FBI. However, Apple has declined the request saying it would set a “dangerous precedent” and Apple CEO Tim Cook has written an open letter clarifying his and the company’s stand on protecting its user’s privacy. Now, Buzzfeed News reports that the Apple Executives has found a key fact that could subvert the basis of the court order that forces Apple to provide backdoor access of iPhone to FBI. According to Buzzfeed, Apple executives are in talk with the government since early January regarding this case and they proposed four different ways to recover the information the government is interested in without building a backdoor. One such method was to connect the phone to a known Wi-Fi network and then trigger an iCloud backup on the device, which then might provide the FBI with the desired information. 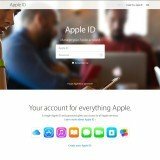 The company had even sent its trusted engineers to FBI’s office for this, but they failed to recover any data using this method as the Apple ID password associated with the device was changed. The executives also claim that if the password had not changed then the government would not need to demand the company create a “backdoor” to access the iPhone, thus effectively posing a threat to customers’ privacy. However, the FBI insists that the San Bernardino Health Department, which owned the iPhone 5c and assigned it to then-employee Farook, changed the password. The recent revelation follows a push by the U.S. Department of Justice to compel Apple’s cooperation in assisting the FBI with creating a backdoor to the iPhone in question. 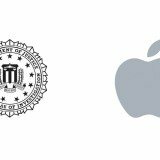 The Department of Justice has earlier filed a new motion to force Apple comply with the order to assist FBI and called Apple’s stance in this case as a marketing ploy. Apple says that no other government has ever requested the company to make encryption modifications of its software. 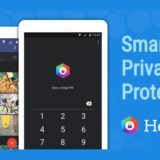 In addition, the company also claims that the tool the FBI is asking the company to create could potentially work as a blueprint for cracking into more devices in the future, even going so far as to render a key security feature of newer iPhones and iPads useless. We are not sure how long Apple can keep its stance and whether it will give into government pressure. However, we can be sure this will define the future of the security in newer iOS and Apple may even design their OS to make it technically impossible to force them to comply with requests like this. will the same apply for other mobile vendors too? or other mobiles are easily crackable?